The decision to remove a customer from a flight is not taken lightly. If the crew determines that a customer is causing conflict on the aircraft, the customer will be asked to deplane, especially if the crew feels the situation runs the risk of escalation during the flight. In this instance, our team worked to re-accommodate the party on the next flight. "Your father is ruining the country!" 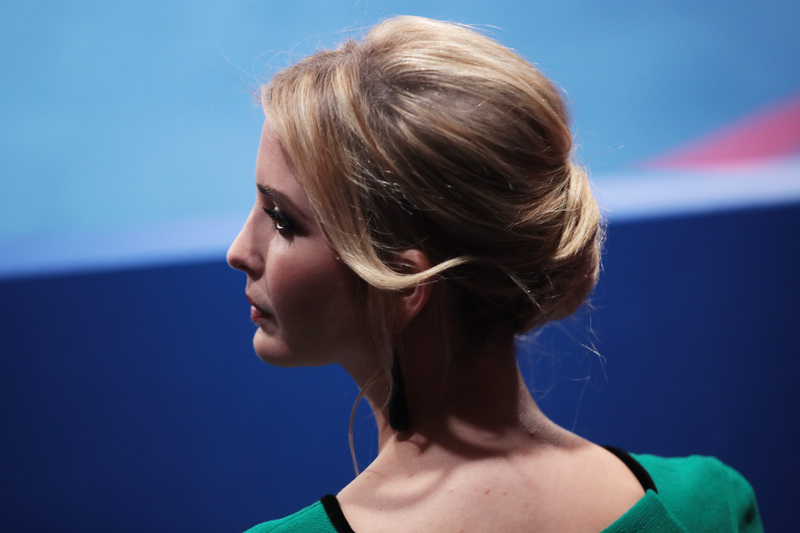 a man shouted at Ivanka as she sat with her family in the coach section of a JetBlue flight scheduled to depart New York's John F. Kennedy International Airport early Thursday, according to TMZ. The man reportedly went on to demand why Ivanka was flying the budget airline. "Why is she on our flight? She should be flying private," the man reportedly said. The man, later identified as lawyer Daniel Goldstein, was quickly escorted off the plane along with his husband, Hunter College professor Matthew Lasner, who had tweeted the confrontation. "Ivanka and Jared at JFK T5, flying commercial," Lasner tweeted in a since-deleted tweet. "My husband chasing them down to harass them. #banalityofevil." Lasner has since deleted his Twitter account. Another passenger on the JetBlue flight has offered a different perspective on the incident, claiming initial reports were "sensationalizing" the events in a post published on Facebook. "When he got on and saw her, sitting behind me, he said, 'Oh my god. This is a nightmare' and was visibly shaking," Marc Scheff said in a statement published to Facebook on Thursday. "He said, 'They ruin the country now they ruin our flight!'" According to Scheff, the flight had been delayed so Ivanka and her family could board first without having to wait at the gate. Scheff said that while the man did not yell, he was also "not what I would describe as calm." According to TMZ's exclusive, Ivanka was reportedly with her husband, Jared Kushner, and their three children at the time of the encounter. While Ivanka has been a vocal supporter of her father's presidency, passengers told TMZ she ignored the Trump critic and focused on distracting her kids. It remains unclear why Ivanka and her family were flying coach.